A group of former staffers who aided Sen. Bernie Sanders’ (I-VT) 2016 presidential run is requesting a meeting with the progressive firebrand. The members of his inner circle want to discuss “sexual violence and harassment” they allege transpired inside the candidate’s campaign, reads a letter leaked to Politico. “In recent weeks there has been an ongoing conversation on social media, in texts, and in person, about the untenable and dangerous dynamic that developed during our campaign,” more than two dozen male and female Sanders alumni wrote. Signees state they would like to meet in-person with Sanders, along with 2016 campaign chief Jeff Weaver, the lawmaker’s chief of staff, Caryn Compton, and Shannon Jackson, the campaign manager for Sanders’ 2018 re-election bid. We thank the signers of the letter for their willingness to engage in this incredibly important discussion. We always welcome hearing the experiences and views of our former staff. We also value their right to come to us in a private way so their confidences and privacy are respected. And we will honor this principle with respect to this private letter. Further, the fundraising group highlighted efforts to combat the issue of sexual assault implemented during Sanders’ 2018 re-election campaign, which included mandatory prevention training for all campaign staffers and the creation of a third-party run toll-free helpline to report wrongdoing. While the letter does not point to specific instances of sexual misconduct, an alleged instance of harassment during the 2016 cycle was detailed in a Huffington Post report published in November 2017. 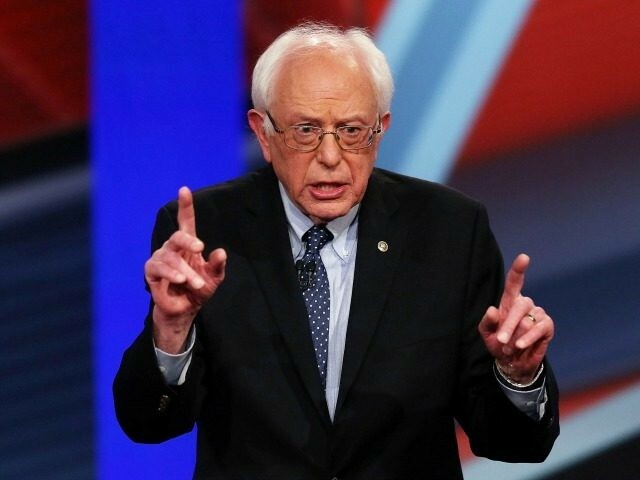 Zoey Jordan Salsbury, who volunteered with the senator’s presidential campaign as the president of American University Students for Bernie, told the left-wing news site that the Sanders campaign failed to address the matter when a fellow intern on the campaign conducted unwanted advances. Report of the letter’s existence comes as Sanders moves closer to deciding on a presidential run in 2020. Several recent polls — including one conducted by Democracy for America (DFA) — place the 77-year-old in the top tier of Democrat voters’ most preferred candidates, alongside former Vice President Joe Biden and outgoing Rep. Robert Francis “Beto” O’Rourke (D-TX).